US - Strength - Kettlebells. 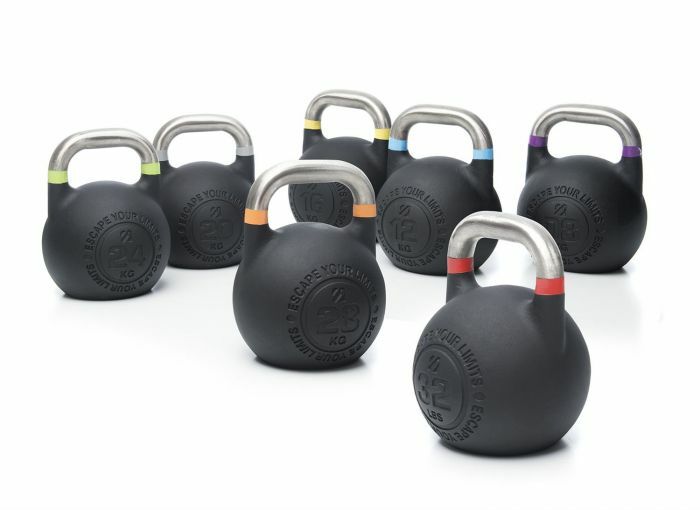 The Escape Fitness range of kettlebells has been developed to provide the ideal set for every type of gym. From raw, tough cross training gyms to chic and boutique PT studios, we have a kettlebell that will fit right in and ensure members achieve the best results. A good set of kettlebells is a staple of any gym. Whether your potential members are involved in crossfit, strength training or general fitness, you’ll find our cast iron and competition pro kettlebells up to the task.